For the second time this year, a pair of Farmer School teams placed in the top three at the West Monroe Partners Case Competition on Friday, this time taking the top two spots. 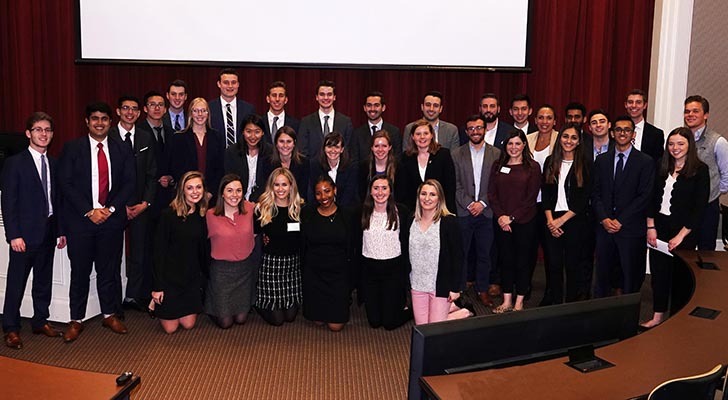 This time, the students took on groups from Purdue, DePauw, and the University of Illinois as they came up with their ideas for how to handle the merger of a pair of companies that specialized in pet grooming. Team 2, comprised of Grant Stierwalt, Annie Reilly, Evan Jones, and Jack Collins finished first in the judging, while Team 3, Emily Leach, Claire Galberg, and Xue Mu, came in second. “I also think it’s fun, so hopefully, they also think it’s fun,” she said. A twist to the competition this time was that teams that didn’t make the finals were given the opportunity to judge the finalists, and their insights made up 20 percent of the judging totals.